World Renowned Dog trainer and author, Kevin Behan, comes to Fulton County !!! 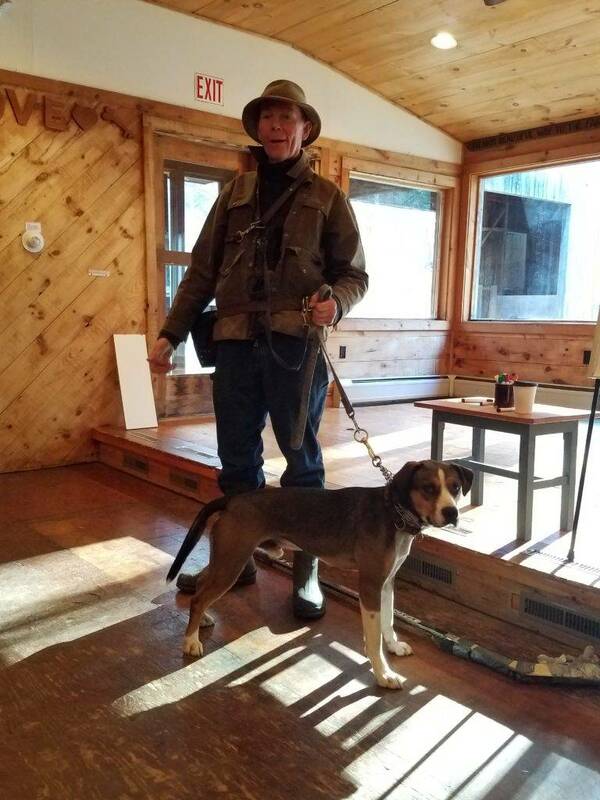 Regional Animal Shelter of Gloversville, New York proudly announces the one day only appearance of internationally recognized dog trainer, author and founder of Natural Dog Training, Kevin Behan! Kevin will present the secret to what is missing in the training of today’s modern dog! Learn how your dog sees the world and what this means to their training. You will gain a deep understanding of the theory and how to apply it to all types of training situations! Join us Saturday, May 20th, 2017 at Harvey’s Home, Garden and Pet Center, 250 North Comrie Ave, Johnstownm New York for an amazing seminar! Ticket price is $50.00 per person which includes buffet lunch. Tickets can be purchased online by clicking here. Doors open at 9:30am. Part 1 of the program begins at 10:00am with lunch break from 12:30-2:30pm. Part 2 of the program is from 2:30-5 pm with live, hands on demonstrations with dogs, including shelter resident Pilot and NDT alumnus Zeke. All proceeds to benefit Regional Animal Shelter’s Project Empty Kennels! Door prizes drawn with paid admission! Kevin Behan has been training dogs for 50 years and is recognized as the nation’s foremost expert on the rehabilitation of aggressive and problem dogs. It’s in his blood: His father founded and trained dogs in the K-9 Corps in WWII and was the first American to train dogs for hospitals, police units, and retail stores. Kevin trained his first dog when he was 10 and started his own kennel in 1981. Using unique techniques, he has trained hundreds of police, protection, and border-control dogs, as well as thousands of America’s pets. He has written Natural Dog Training and Your Dog is Your Mirror. Join us for our Birthday Weekend Extraveganza!! !